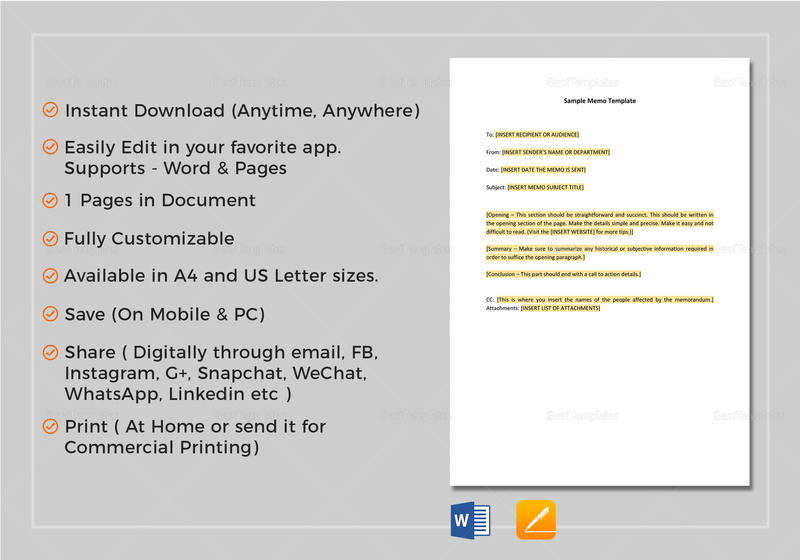 Make a simple but effective memo for your business with this Memo Template available for immediate download anytime and anywhere. Hurry and take this opportunity to download this amazing template. 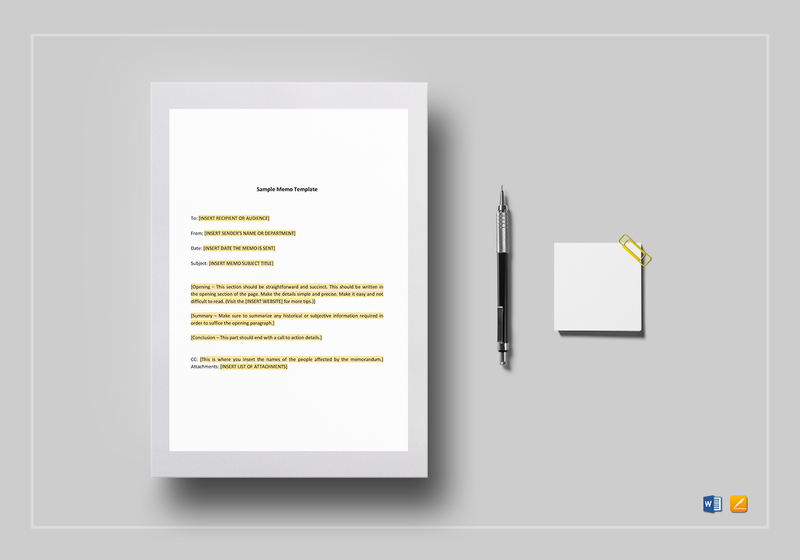 Edit with any app or program that supports MS Word or Pages file formats by just replacing the yellow highlighted parts with your information.